This process outlines seven steps for planning an event using both creative and critical thinking. At each step, planners are encouraged to think divergently, which means generating as many ideas as possible without prematurely judging those ideas. A good idea comes from having a lot of ideas. At each step, planners are also encouraged to think convergently, which means using criteria to narrow down choices and make good decisions. To download this Creative Event Planning Process, click here. 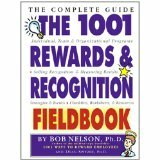 The 1001 Rewards and Recogition Fieldbook. (2003) Nelson & Spitzer. Analyzing Performance Problems. (1997) Mager & Pipe. A Whack on the Side of the Head. (2008) Von Oech. 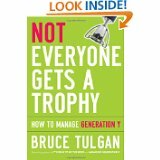 Not Everyone Gets A Trophy: How to Manage Generation Y. (2009) Tulgan. To purchase this book on Amazon.com, click here. Dealing with People You Can't Stand. (2009) Brinkman and Kirschner. To purchase this book on Amazon.com click here. Creative Problem Solving: An Introduction. (2006) Isaken, Treffinger, & Stead-Doval. 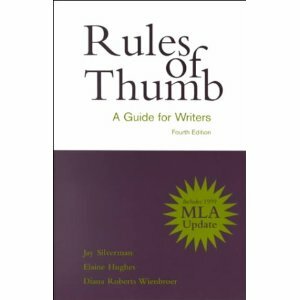 Rules of Thumb: A Guide for Writers. (1999) Silverman. 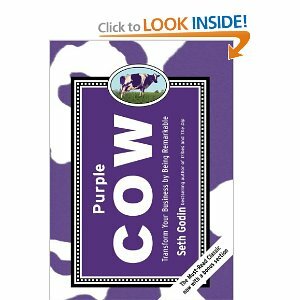 Purple Cow: Transform Your Business By Being Remarkable. (2009) Godin. Improving Performance: How to Manage the White Space in the Organization. (1995) Rummler & Brache. Evaluating Training Programs. (2006). Kirkpatrick & Kirkpatrick. 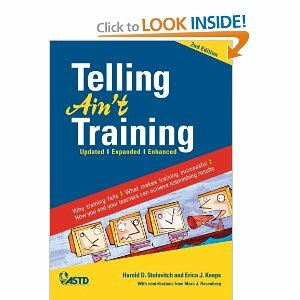 Telling Ain't Training. (2011). Stolovitch & Keeps. 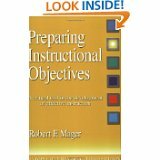 Preparing Instructional Objectives. (1997). Mager. How to Work With Just About Anyone: A 3-Step Solution for Getting Difficult People to Change. (1999). Gill. I recommend this book because the author gives great examples of how to formulate our messages to get concrete results. Gill explains the importance of knowing the outcome you want before you speak. She also emphasizes the destructiveness of using adjectives to describe people. Instead, she recommends boiling down your problems to concrete behaviors that you see a person exhibit. Her advice is right on. 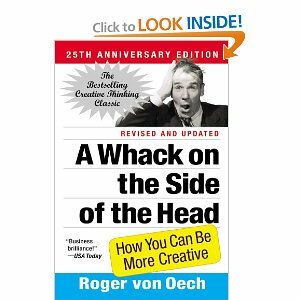 This book mirrors many of the strategic and assertive communication tools that I share in my workshops. 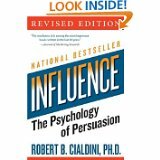 Read this book if you are in sales. Don't spin your wheels choosing random approaches to conversations. Tactics informed by persuasion research have a higher likelihood of closing the deal. You'll enjoy the practical style of this book. Getting Organized at Work. (2008) Zeigler.